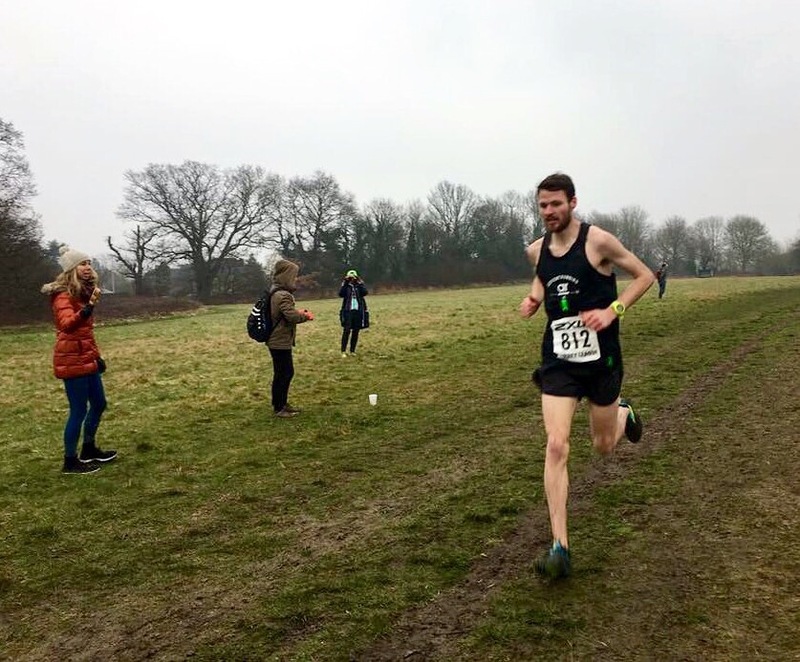 On Saturday the 11th of February I took part in the fourth and final Surrey XC League fixture of the season with the Advent Running team. 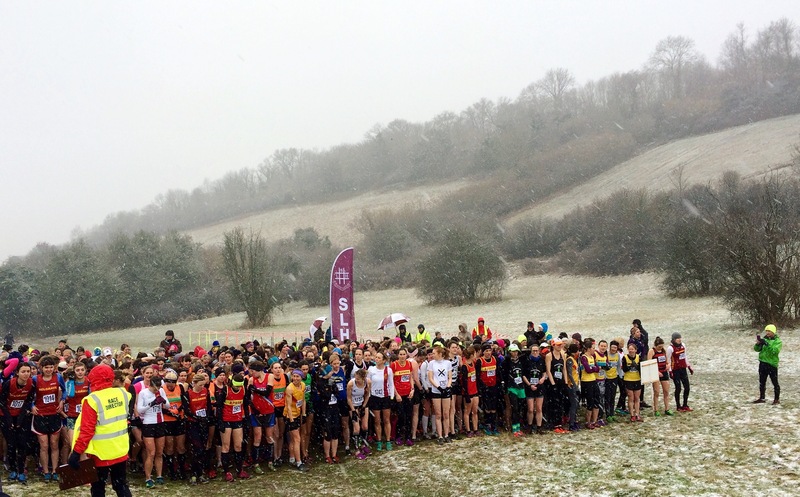 Before heading to Lloyd Park to run our 8k race some of us joined the girls at Happy Valley Park to encourage them around what was a tough course, not helped by the snow. Lorna and I met up with most of the girls at London Bridge to get the train to Coulsdon South or as Ben Rajan aptly named it Coldsdon South. We arrived in plenty of time which was good as we still had a bit of a trek to get to the start area and then to the nearest car park/toilets. As I normally run in the same races as Lorna it’s not very often I get to support her, however when I have cheered it’s been great fun. 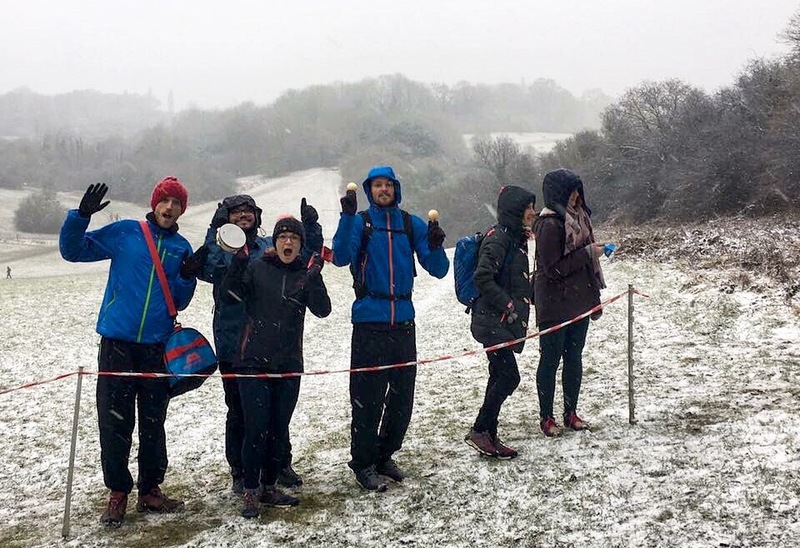 It was nice for some of us to be able to repay the favour as lots of the girls cheered us on at Clapham Common, Epsom Downs and Cranford Park. 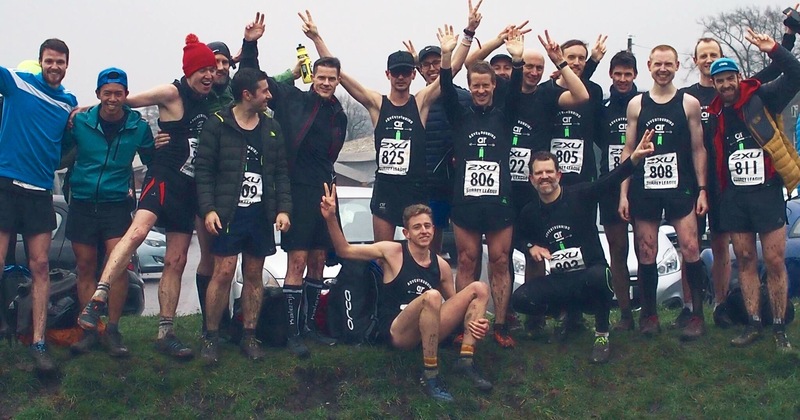 I always find cross-country days funny; the first few hours seem to drag on but once you’ve started travelling to the race and met up with the group/team time disappears. The girls sorted their race vests & numbers before doing a quick warm up. With just a couple of minutes to go they shed their warm layers and headed for the start line. Before we knew it they were charging off at what I would describe as “It’s so bloody cold, let’s get this done” pace. Normally when I’m watching races/supporting I feel left out and want to be taking part, not this time. I was more than happy to be in warm clothes, shouting useless words of support and shaking some maracas. We positioned ourselves near a slippery chicane in a bid to get good photos and give the girls a lift before they zoomed down the hill into the second lap. The girls ran really well in what were horrible conditions, I don’t think they could believe their luck with the bad weather. 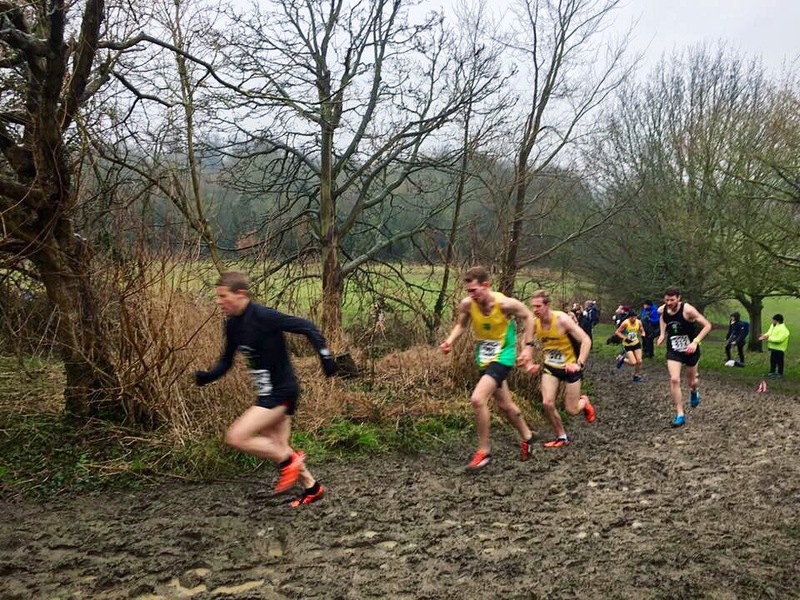 After their third fixture they all said the conditions were “brutal” and “really muddy and hilly” but apparently this course was a lot tougher due to the long hills and ploughed fields. As the men’s race started at 2pm we had to depart after cheering the girls around one lap. We opted to jog to the train station to loosen our legs up. With the large snowflakes falling on our faces it felt like we were on some sort of arctic expedition, far from it really. We jumped on the tram from East Croydon to Lloyd Park before sorting our race numbers and vests, using a couple of cars for a bag drop (thanks Matt and Sarah). Claudia and some of the other girls arrived before the start so they showed us where the hilliest and muddiest parts of the course were. It’s always good to do a bit of a recce so you can roughly work out how to pace yourself. With 5 minutes until the start I stripped down to race vest and split shorts and did a few strides to try and keep warm. Luckily the weather was much clearer in Lloyd Park than in “Happy” Valley Park, there was no snow to be seen. As we walked to the start line I was really excited to get going but at the same time I was a little sad as it was the last fixture of the season. Similarly to the third fixture I positioned myself near the front alongside Martin Harris with the rest of the AR team just behind us. After a short announcement from the organisers we were on our way. The first kilometre was relatively flat resulting in a split of 3:33. 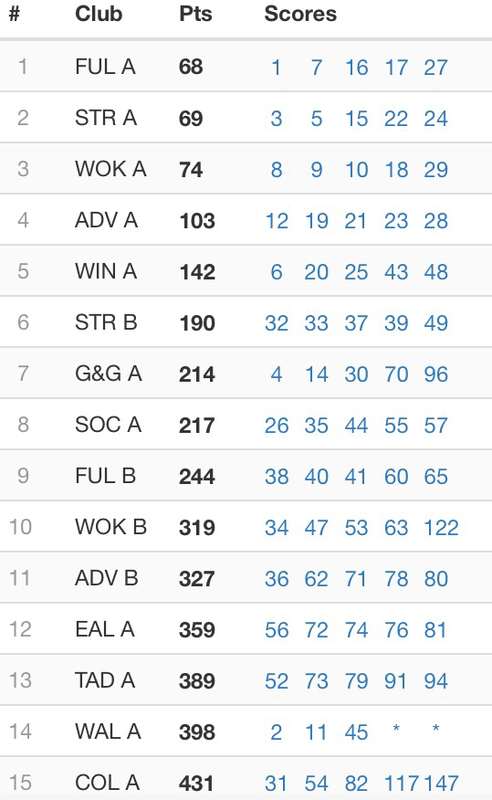 Over the four fixtures I’ve found it interesting learning how to pace the races, trying to take the mud and hills into consideration. 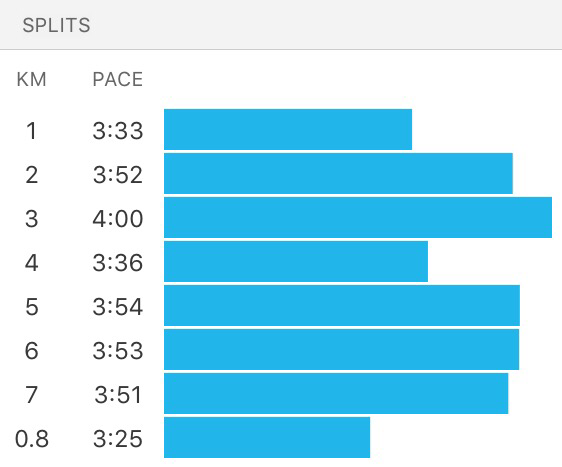 The pace felt fast for the first couple of kilometres but I was feeling good and I’d decided I would get the first lap done then either ease off if need be or push on. Unfortunately after about a kilometre and a half one of my shoe laces came undone, rookie. I mustn’t have tied it tight enough due to having freezing cold hands. I was in two minds whether to stop and attempt to tie it back up or chance it and hope my shoe wouldn’t come off in the mud. I opted for the latter having weighed up the pros and cons, I figured I’d probably struggle to tie it up again giving my hands felt like icicles and the laces were covered in mud. It would’ve been like taking on a challenge in the cube. Luckily the next few kilometres went by quickly a) because I was thinking about my laces and b) I was chasing Martin down. The first lap went by pretty quickly; it definitely helped having the AR lot making a racket (I mean playing their musical instruments to an incredible standard) and cheering the team on. I closed the gap on Martin as we entered the second lap; we were side by side for a kilometre or so. Then came the short sharp muddy climb that we had recced, I think we both knew if one of us could push on after the climb that would be it as the rest of the course was relatively flat. We both dug deep to get to the top of the hill, my legs were surprisingly feeling ok so I got back onto a quick pace to open up a gap and push on. 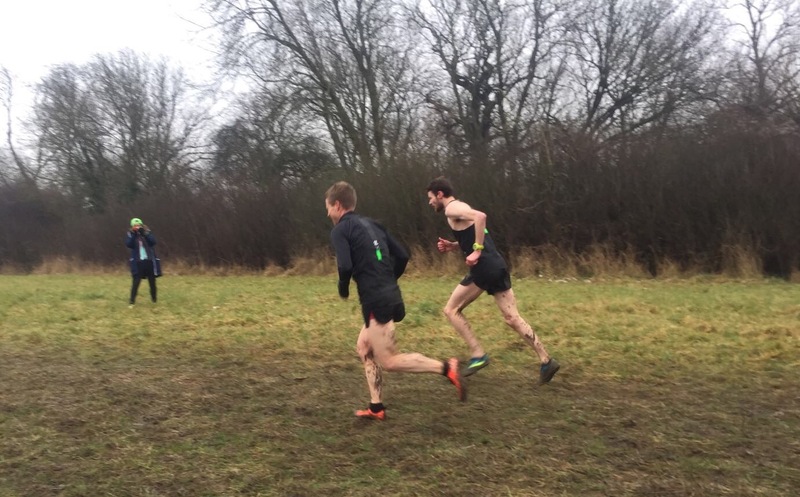 There was no looking back; I started to think about catching two of the other runners to put myself in with the chance of finishing top of the individual standings in the league. They were a couple of hundred metres ahead of me so they were a good target to chase for the remainder of the race. For a kilometre or so I maintained the gap knowing that within the last 1,000m or so there was a downhill stretch into the finish. 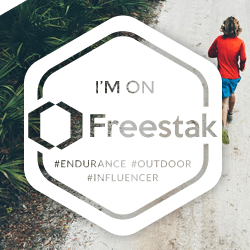 Having some energy left in the tank I started upping my pace, I opened up my stride. 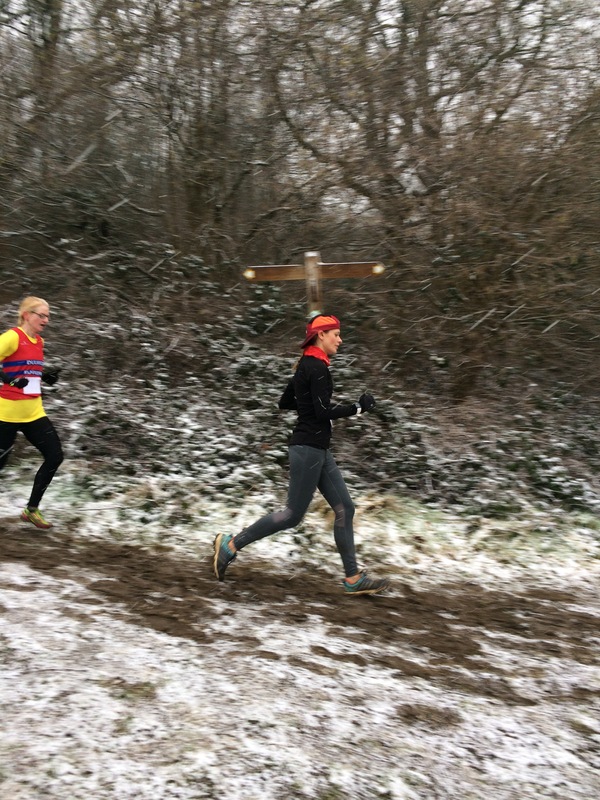 After getting through muddy sections and up sharp hills it was great to be on the home straight and to let fly. I closed the gap on the two runners but unfortunately couldn’t quite catch them. I crossed the finish line in 5th place (2nd in Division 4) in 29:41. 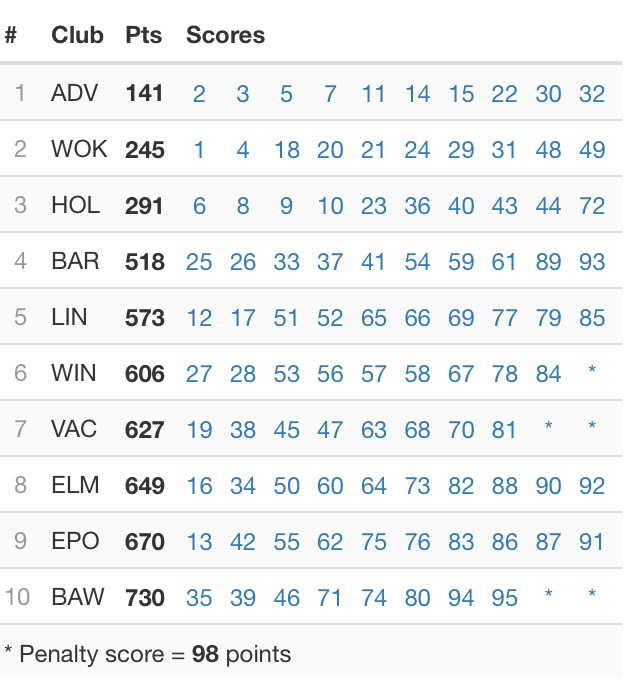 Martin finished in 7th (3rd in Division 4) claiming the top spot in the individual standings. If you’re reading this well done mate you were so strong and super consistent throughout the season, it’s been great fun racing with you. The whole team smashed it again! 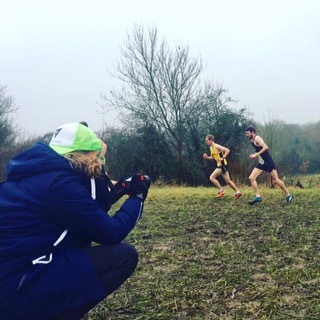 I’ve really enjoyed the cross-country races with the Advent Running team; I can’t wait for next season. A massive thank you has to go to James and Claudia for organising everything. It has been great to see everyone enjoying themselves racing around on the mud.